Mr Tsoi has a distinguished career in the legal profession. 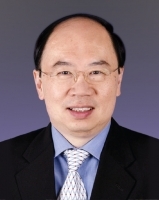 He is a Notary Public and a China-appointed Attesting Officer. He established his own firm, Herbert Tsoi & Partners, in 1999, and has served as President of The Law Society of Hong Kong. In recognition of his significant contributions to the community and the legal profession, he was appointed a Justice of the Peace in 2001 and was awarded a Bronze Bauhinia Star in 2006 by the HKSAR Government.